The City of Newark Landmarks and Historic Commission and the Newark Central Planning Board recently approved one of Lincoln Park Coast Cultural District’s most exciting projects: The Façade! The Façade! 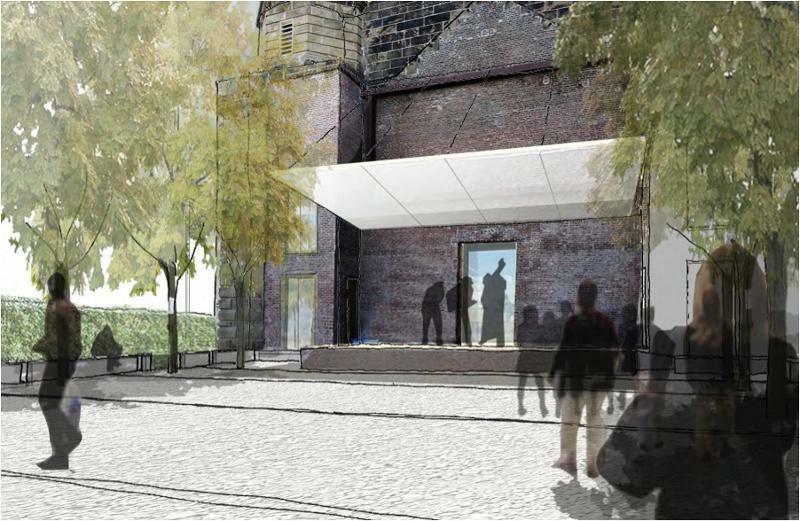 will be the adaptable reuse of the South Park Calvary Presbyterian Church (SPCPC) façade located at 1033 Broad Street, Newark, NJ into an outdoor performance venue and urban farm. Built in 1855, Abraham Lincoln spoke on the steps of SPCPC in 1861 on his way to his first inauguration. Once the center of the abolitionist movement and racial integration in Newark, SPCPC became a “soup kitchen” before burning down in 1992—leaving only a striking eight-story high blue sandstone Greek Revival façade on a half-acre site. 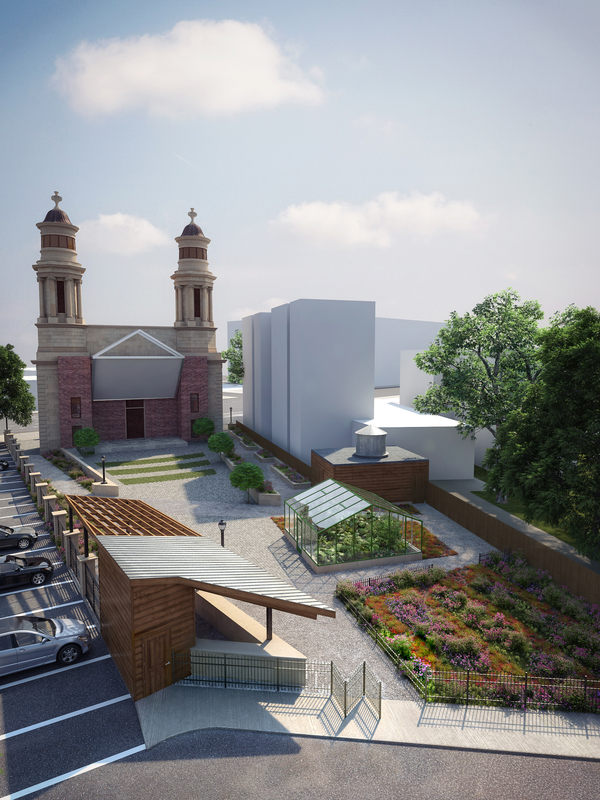 LPCCD is converting this ruin into a 615 person outdoor performance venue which will include a stage for musical performances and an urban farm with a greenhouse, hydroponics and aquaponics to source the concession-stand during performances and provide vegetables for locals. LPCCD wants the Façade! to become the center of emerging artist movement in Newark and the cultural revitalization efforts in the Lincoln Park Coast Cultural District. LPCCD also wants the Façade! to participate in increasing healthy eating habits in the Lincoln Park neighborhood. Through weekly curated spring, summer and fall music programming, the Façade! will showcase emerging local artist in the genres of hip-hop, house, gospel, jazz, rock, blues and neo-soul while simultaneously being a location during these performances for people who live, work or worship in the Lincoln Park community to pick up their community supported agriculture (CSA) food shares from the vegetables grown on site and recipes for preparing this food. LPCCD plans on going into construction on the Façade! and will start scheduling future events and programs. If you are interested in performing at the Façade! or if you are interested in supporting the Façade! financially please email Anthony Smith at anthony@lpccd.org.